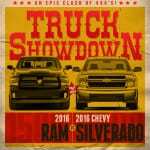 2016 Chevy Colorado or 2016 Silverado: Which Truck for You? Deciding which vehicle to purchase when you set out to buy a new car is a big deal. A vehicle is one of the largest expenses most people are likely to make in their lifetime. Buying a car that is not ideal for your lifestyle and needs can leave you with major buyer’s remorse – and trust us, no one wants to feel buyer’s remorse. While some people struggle with deciding which type of vehicle to buy, others find this aspect of car shopping the easy part. For example, if you commute forty miles to work each day, then a compact car is likely the right choice for you and your lifestyle. If your job is more rugged in nature, or if you need heavy duty towing power for your grown up toys, then a pickup truck is probably more your speed. If you fall into the latter category, then you may have already begun perusing Chevrolet trucks for sale in your local area. Simply put, Chevrolet has been engineering and manufacturing quality pickup trucks for a long time. American made ingenuity is at the forefront of every Chevrolet branded pickup, and it is a major reason why drivers consistently vote the bowtie brand as their favorite truck manufacturer. Chevrolet’s pickup truck heritage dates back to 1930, when the company created their first ever model of the vehicle that was rapidly growing in popularity. Ever since, Chevrolet has been consistently beating out the competition in quality, dependability, power, and capability, both on and off the road. Chevrolet’s pickup truck lineup has evolved and changed drastically over the past 85 years, but their devotion to high quality performance has never once faltered. Today, the bowtie brand has narrowed their focus in this segment to the full-size Silverado, and the mid-size Colorado. Both trucks are designed to perform, and deciding which one is right for you comes down to a matter of preference and lifestyle. Before we focus in on the 2016 versions of each of these pickup trucks, let’s take a look at their major differences right off the bat. The Silverado was created as a full-size pickup truck in the Chevrolet lineup back in 1999. It replaced the C/K pickup that was in production from 1975 through 1998, and the Silverado name was derived from a trim level on that truck. The Silverado is characterized as a full-size pickup, and is available as a light duty 1500, or a heavy duty 2500, or 3500. Each variant of the Silverado offers up a different power, performance, and capability standard. The Chevy Colorado was first introduced in 2004 as a replacement pickup for the Chevy S-10. The midsize pickup truck has been a major success worldwide, as it offers the utility of a pickup, without the bulkiness of a fullsize truck. While both the Colorado and Silverado models are Chevrolet pickup trucks, they each offer their own unique take on the segment. Let’s take a look at what the 2016 model year brings for both of these trucks, to help you decide which one might be the right fit for your lifestyle. Aside from winning plenty of awards over the years including the longest-lasting full size pickup on the road, the Silverado is a pickup truck that has distinct characteristics that the Colorado does not. Check them out below, and weigh each one carefully when considering which Chevy truck you may want to purchase. The 2016 Silverado is actually available in three different power options. The 1500, 2500HD, and the 3500HD. Each one of these offers different performance and capability numbers, which makes the Silverado lineup more versatile. 1500: Comes standard with a 4.3-liter EcoTec3 engine that makes 285 horsepower, and a towing capacity of 7600 pounds. Two other engine options are available on the 1500, with the most powerful 6.2-liter V8 featuring a best-in-class towing capacity of 12,000 pounds. 2500HD: Featuring a standard Vortec 6.0-liter V8 engine, the base Silverado 2500HD can tow up to 14,800 pounds. The more powerful engine option on this Silverado model is a Duramax 6.6-liter Turbo-Diesel V8 that has a towing capacity of 18,000 pounds. 3500 HD: The most powerful Silverado in the lineup, the 3500HD can tow up to 23,200 pounds when outfitted with the available Duramax 6.6-liter Turbo-Diesel V8 engine. The 2016 Chevy Silverado comes with three different bed sizes. A 5.75-foot, 6.5-foot, or an 8-foot bed. The availability of each bed size corresponds with the cab type of each Silverado model. Each Silverado model has various trim levels to choose from. Whether you need only the basic requirements for driving, or seek high-end luxury, the Silverado can satiate every appetite. The Silverado is a highly capable pickup. Whether it’s towing, hauling, or simply driving to and from the office – the Silverado can handle it all. For heavier loads, the Silverado offers an integrated brake controller, StabiliTrak with Trailer Sway Control, Auto Grade Braking, Tow/Haul Mode, Rear Vision Camera, and more. The Silverado is a unique truck on its own, but special edition models of the pickup make it stand out even more. For 2016, Chevrolet is offering the Silverado Realtree Special Edition to drivers. A black paint job with Realtree exterior graphics give the truck a sleek look that can blend into natural environments. It’s a great option for outdoor enthusiasts, or drives who just want to stand out from the crowd. The Colorado may be smaller in size, but what it lacks in size, it makes up for everywhere else. The perfect truck for drivers who need lighter duty capability, but still want the overall feel and experience of a pickup. Check out some of the characteristics that help the Colorado stand out from other vehicles on the road. The 2016 Chevy Colorado has a starting MSRP of just $20,100 – that’s nearly $7,000 less than the Silverado. This lower price point may make the decision between these two trucks easier, especially if you don’t need the power and utility of a full-size pickup. Aside from offering a low sticker price, the Colorado also brings another level of uniqueness to the midsize pickup truck segment. Featuring best in class towing capacity of up to 7,000 pounds, the Colorado is a major standout amongst other midsize pickups. The Colorado has made major strides in recent years in just about every aspect it was able to. Named the Motor Trend Truck of the Year for 2015 and 2016, the Chevy Colorado is hands down the best pickup truck on the road. If you decide to purchase in the midsize pickup segment, the 2016 Colorado is truly the best of the best. Another positive aspect of driving a midsize pickup over a fullsize version, is that it offers better fuel economy. With an EPA-estimated rating of 31 miles per gallon on the highway, the 2016 Colorado will keep you on the road longer and at the pump less. The 2016 Chevy Colorado will keep you and your passengers safe on the road ahead. With a standard rear vision camera on all Colorado models, drivers can also opt for Forward Collision Alert technology, Lane Departure Warning, and more. Making the decision between the 2016 Silverado and 2016 Colorado comes down to a matter of personal preference, and what you need your truck to accomplish. For heavy-duty hauling and towing, the Silverado is a great choice. For a smaller pickup with better fuel economy, there is no better midsize truck on the road than the 2016 Chevy Colorado.